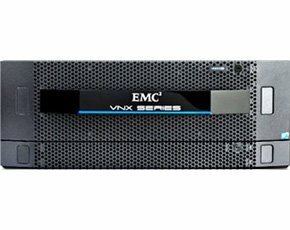 EMC has announced a technology refresh to its VNX range of mid-range unified storage arrays centred on an upgrade of array operating software to take advantage of Intel multi-core Xeon 5600 CPUs and optimisation of array hardware for flash storage. The Massachusetts-based storage giant also announced increased options for its VSPEX reference architectures based around the new VNX arrays. The updated VNX arrays – originally launched in 2011 as a successor to EMC’s Clariion and Celerra boxes – comprise three tiers aimed at organisations ranging from SMEs to large enterprises. The existing VNX arrays’ Flare operating system (OS) could not take advantage of multi-core CPUs and so suffered a processing bottleneck, especially when it came to using flash drives. In the technology refresh, Flare has been rebranded MCx and optimised to spread the VNX workload across up to 32 cores in the Xeon processors. Caching algorithms have also been improved in MCx and now data is promoted to cache after a single instance of accessing, where previously in Flare it took three reads to do the same. Disk drive capacities are increased across the range and are 3.5in flash (eMLC or SLC), SAS and nearline SAS, although 2.5in drives will supercede these over time. All VNX arrays are dual-controller. The SME-targeted VNX devices are the entry-level VNXe 3150 and the higher-specification VNXe 3300. Both arrays can house a minimum of six disk drives up to 50/100 (VNXe 3150) or 150 (VNXe 3300) for maximum capacities of 144/288TB and 450TB respectively. The mid-range arrays are the VNX 5400, 5600 and 5800. These can be fitted with between 250 and 750 drives for theoretical maximum capacities of between 750TB and 2.2PB. The high-end VNX arrays are the VNX 7600 and 8000. These house 1,000 drives, although the 8000 will increase to 1,500 drives for maximum capacities of 3PB and 4.5PB. Such maximum capacities assume use of 3TB drives, which will not be optimum in many use cases, so real-world maximums are far lower. The new VNX 5400, 5600 and 5800 have been included in EMC’s VSPEX reference architecture options, which provide server, storage and networking specifications for customers. Other additions to VSPEX include: Citrix XenDesktop 7 compatibility; data protection capabilities including Avamar 7 backup software and Data Domains DD2500 and 4200 data deduplication device compatibility; VSPEX for VMware private cloud in vSphere 5.5; VSPEX for VMware Horizon View 5.2: VSPEX for virtualised Microsoft SQL Server 2012, Oracle 11g, Microsoft Sharepoint 2013 and Exchange 2013.